1.2.10 The specific account numbers contained here are not prescribed, as long as equivalent detail is maintained. However, this general ledger has been carefully designed to meet several needs. Use of general ledger accounts in cash basis governments is OPTIONAL. 1.2.20 First, the accounts provide for detailed identification of assets, deferred outflows, liabilities, deferred inflows and fund balances and net position that any local government fund might acquire. Throughout the general ledger, the fifth and subsequent digits have been left for local governments to use in establishing more detailed breakdowns where needed. 1.2.40 Third, the comprehensiveness of the general ledger combined with the uniform summarization outlined above is designed to make the preparation balance sheets a simple matter of extracting the balances at the same level for all the funds of a government. The headings on the chart which begins on the next page identify which digits to sort or summarize by for reporting purposes. The presentation of the balance sheet is structured in similar manner as the general ledger accounts. The first digit identifies whether the account is an asset or a liability/fund balance or net position account (e.g., 1 or 2). The second digit is used to categorize the major classification of assets, liabilities, fund balance, and net position. 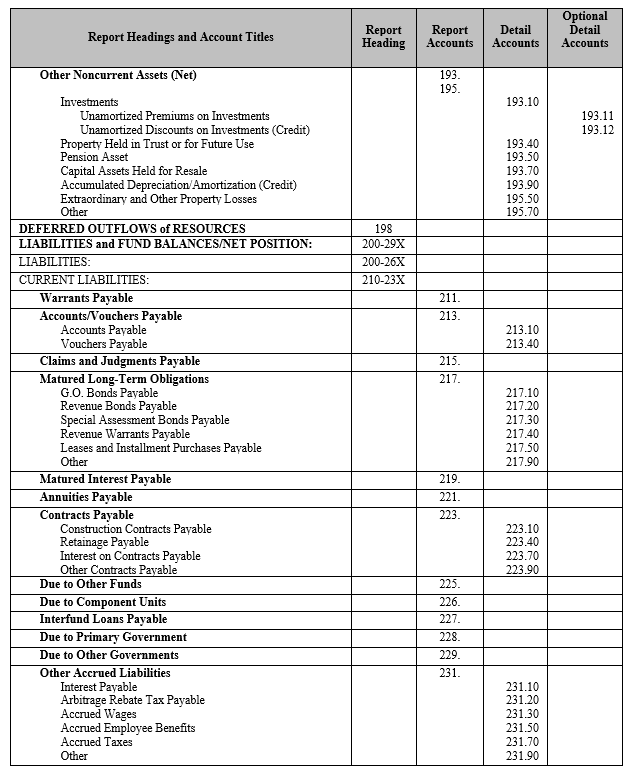 The outline on the previous page identifies these major classifications, which are used as subheadings on the balance sheet. The third digit defines the reporting level for all assets and liabilities. In the fund balances/net position section, some subaccounts are combined for reporting purposes: accounts 276-278 and 281-283. The fourth digit defines the prescribed accounting detail in the BARS general ledger. Ordinarily, this level of detail is not shown on the financial statements. 1.2.50 Finally, the BARS general ledger contains a set of optional control accounts that can be used to monitor budgetary and actual revenue and expenditure/expense account balances. These accounts summarize subsidiary ledger transactions and, depending on the amount of detail that a government elects to use, these control accounts will segregate and classify those transactions as they occur. The budgetary control accounts (291) provide a convenient summary of the total budget of a fund and of the amendments that have been made since the original budget was adopted. Much of the segregation illustrated in the control accounts can be automated by establishing rules by fund or fund type for which subsidiary accounts are summarized in each control account. Updating these control accounts, operating statements, and transferring the balance to the actual fund balance/net position accounts in the 270-280 series can then be done automatically as the subsidiary ledgers are posted. Include those assets which will be used up or converted into cash within the next operating cycle (e.g., twelve months). Money, negotiable money orders and checks, and balances on deposit with financial institutions after deducting outstanding checks. Include deposits in transit. Do not include petty cash items (see below). Also, for reporting purposes, do not include proprietary fund cash that may be used only for noncurrent purposes (account 150, Restricted Assets). Do not include time deposits or pass book savings accounts. Compensating balances should be disclosed parenthetically or in a note. This account provides for optional segregation of those amounts of money not invested for a specific fund but included in treasury surplus and invested on behalf of the municipality. Any sum of money or other resources set aside for such specific purposes as minor disbursements, making change, and similar uses. This account provides for optional segregation of moneys set aside within the treasury to pay matured bonds and interest. Deposits with fiscal agents, such as commercial banks, for the payment of matured bonds and interest. This account provides for optional segregation of moneys set aside within the treasury to invest and accumulate for eventual payment of interest and principal on refunded bonds when called or matured. Do not include any amounts in these accounts in the financial statements. Deposits with bond refunding trustees, such as commercial banks, to invest and accumulate for eventual payment of interest and principal on refunded bonds when called or matured. Do not include any amounts in these accounts on the financial statements. Moneys held by municipal officials outside the main treasury on behalf of private individuals or organizations, or until ultimate disposition is determined. Include both cash and investments. Deposits with fiduciaries including banks, brokers and insurance companies made on behalf of private individuals or organizations. Include all securities and other assets acquired primarily for the purpose of obtaining income or profit. Investments should be reported at fair value (for exceptions see the GASB Statement 31). Investments with original maturities of three months or less may be considered cash equivalents and accounted for in the G.L. account 111. Do not include investments restricted for specific purpose in proprietary funds (see account 150). Purchased interest should be posted to the revenue account 361.90 (G.L. account 292.10). The government may use unassigned fourth and fifth digits to establish more detailed breakdowns for the accounting purposes. Include the uncollected portion of property tax which a government has levied and for which the due date has not yet passed. 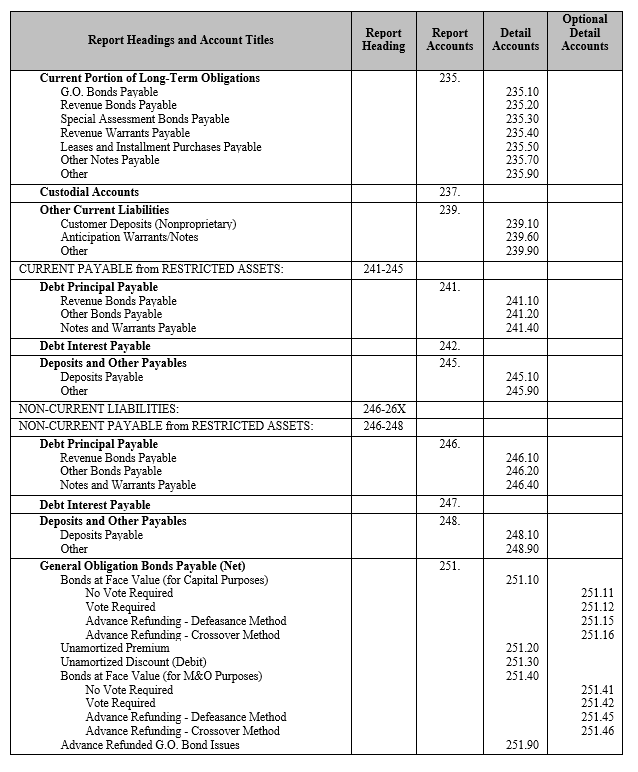 Also include any amounts of other uncollected taxes (see BARS 310 series) that are measurable and available. Do not include interfund receivables (see account 131). Include taxes remaining unpaid on and after the date on which interest is assessed or a penalty for nonpayment attached. This segregation from current taxes is required only for the municipality which is the tax collection agent. Include the uncollected portion of interest receivable on taxes. Include accruals to the end of the fiscal period. Include the uncollected portion of penalties receivable on taxes. Include accruals to the end of the fiscal period. Penalties assessed for failure to list personal property must be separately identified since they are distributed with taxes rather than remitted to the county general (current expense) fund (RCW 84.56.020(8)). A valuation account used to indicate that portion of taxes and related interest and penalties which it is estimated will never be collected. Amounts due from customers on open account for goods and services provided. Significant receivable balances not expected to be collected within one year of the date of financial statements should be disclosed in the notes. Amounts earned by the entity for goods or services furnished to private individuals or organizations for which billings have not been prepared at the end of the reporting period. A valuation account used to indicate that portion of customer accounts which it is estimated will never be collected and will eventually be written off. Include the uncollected portion of special assessments which a governmental unit has levied and which are due within 60 days (for governmental funds). Exclude interfund assessments which should be reported in account 131. Also exclude any assessment accounted for in a proprietary fund, which should be reported in account 151.40. Include the uncollected portion of special assessments which are past due. Exclude interfund assessments, which should be reported in account 131. Also exclude any assessment accounted for in a proprietary fund, which should be reported in account 151.50. Include the uncollected portion of interest receivable on special assessments in governmental funds. (Use account 151.60 for proprietary funds). Include the uncollected portion of penalties receivable on special assessments in governmental funds. (Use account 151.70 for proprietary funds). Interest earned on investments, notes, contracts and miscellaneous receivables. Do not include interest on taxes or special assessments. (See accounts 121.50 and 123.50). Include current amounts due from private individuals or organizations evidenced by a written promise to pay. In governmental funds, use the account only for that portion due by the end of the current fiscal period; in proprietary funds, use this account for that portion due within the next 12 months. Include amounts of impact or developers fees or reimbursable charges for services receivable from private developers. A receivable for goods issued, work performed or services rendered to or for the benefit of another fund of the same government. Also use this account for subsidies and other transfers between funds that have been authorized but not yet paid. The owing fund should have an equal amount recorded under account 225. Include receivables between a primary government and blended component units. Include the uncollected amounts of interfund loans. See Loans. Include amounts due to the reporting government from another government. These amounts may represent measurable and available intergovernmental grants, entitlements, or shared revenues; grants or taxes collected for the reporting government by an intermediary collecting government; loans; and charges for services rendered by the reporting unit for another government. Receivables for services that are not governmental in nature, such as insurance, utilities, rents, repairs, and supplies, should not be included here. Use account 122. Amounts due to the reporting entity from discretely presented component units. 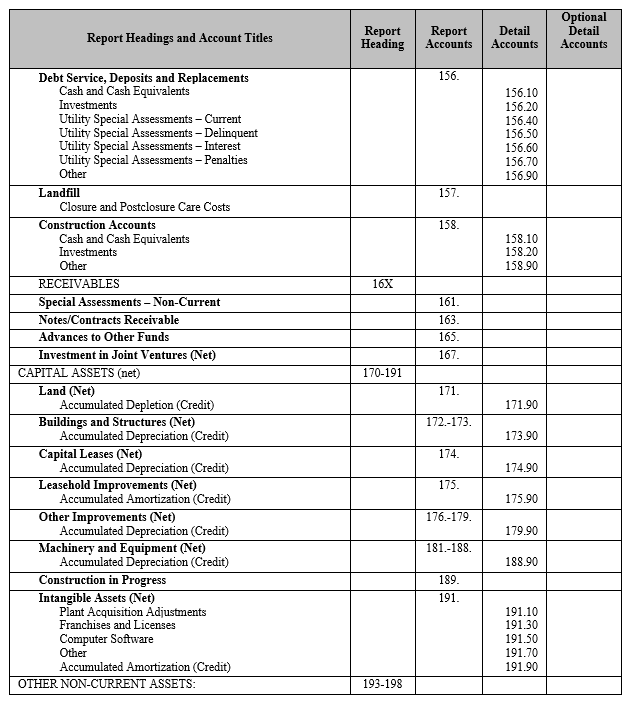 The receivables from blended component units are presented in 131. Some transactions and balances previously recorded in 131 or 134 may need to be reclassified for presentation in the reporting entity (primary government) financial statements. The owing component unit(s) should have an equal amount recorded in 228. Include amounts due to the discretely presented component unit(s) from the primary government. The owing reporting entity (primary government) should have an equal amount recorded in 226. For details, see GAAP Reporting Requirements. Use this account for the cost of all stock-in-trade items acquired for sale to private individuals, to other governments, or to other funds and departments. Also include the cost of stockpiled raw materials for use in manufacture and the cost of finished goods manufactured by your government for sale. (Use account 145 to accumulate the costs of manufacturing these items.) The accounts may be subdivided to distinguish different kinds or grades of inventories, or a subsidiary ledger may be used. General administrative and office supplies which will be consumed in routine operations should not be included in this account (see account 143.40). Merchandise and materials that are put to use as soon as they are acquired need not be charged to this account; however, all Work in Process should be closed to 141.7X and expensed from there. Generally, goods supplied from vendors in the form and condition they will be used. This account includes material that may be used in a manufacturing process or as is, such as lumber, paint, and rock. This account is used for completed items that have been manufactured by your government (see account 145). Unexpired portion of insurance premiums (it is not necessary to record insurance prepayments except in proprietary funds). Cost of stationery and office supplies held for use in routine operations. Use this account only if material amounts of supplies are on hand at the end of the reporting period. Do not include supplies acquired for sale (see account 141.10). For governmental funds, the offsetting credit is the account 282.50, Reserve for Prepaid Items. Note that the expenditure should not be reversed. This account is used to accumulate the costs of manufacturing items for resale to private individuals, other governments, or other funds and departments. It is not used for capital construction (see 189.). Items manufactured for immediate internal use need not be charged to this account. The various optional subaccounts are used to segregate the total costs to produce such items as crushed rock, asphalt, road signs, rebuilt parts, printing jobs, and other merchandising, jobbing and contract work. When the manufacturing process is complete, the total costs should be transferred to account 141.7X. For financial reporting, include all incomplete work orders not classified as construction in progress. The accounts may be subdivided to distinguish different types of projects, or a subsidiary work order system may be used. 145.11 Raw Materials Put in Process (Segregation Optional). Include materials used in manufacture, either transferred from account 141.4X or directly purchased as they are needed. 145.13 Direct Labor (Segregation Optional). Include labor costs incurred by your government and related fringe benefits. 145.15 Equipment Charges (Segregation Optional). Include rental charges on equipment, whether paid to another department or fund or to an outside vendor. 145.17 Contracted Services (Segregation Optional). Include payments to vendors which do part or all of the processing of raw materials owned by your government. Examples include contracts for crushing rock from government-owned quarries and printing or fabrication jobs where part of the work is done in-house and part by an outside contractor. 145.19 Other Overhead (Segregation Optional). Include the cost of services and supplies other than those which may be properly included in the foregoing accounts. When labor or equipment rates include overhead, there is no need to accumulate a separate amount to charge to this account. Restricted assets are those proprietary fund monetary assets which have their use limited by statute, bond covenant, or other contractual or trust relationship. For reporting purposes, restricted assets must be shown in account 150, although they may be accounted for during the year in separate funds, using current asset accounts (111, 118, 123, etc.). Separate funds are not required for restricted assets, even though bond covenants may stipulate a bond reserve fund, construction fund, etc. The bond covenant use of the term fund is not the same as the use in governmental accounting. For bond covenants, fund means only a segregation or separate account, not a self-balancing set of accounts. Most restricted assets are offset by corresponding current liabilities (accounts 241-245, Current Payable from Restricted Assets), non-current liabilities (accounts 246-248, Non-Current Payable from Restricted Assets), or by a restriction of net position (account 284.20). The common exception is bond proceeds received for construction purposes, which are separately categorized as construction account restricted assets and for which there is no offsetting current liability or net position. It is not necessary to include cash with fiscal agents in the restricted assets category. It is acceptable to have two Deposits with Fiscal Agent accounts, but it is not necessary either. These amounts are offset by matured payables and the BARS treat both fiscal agent cash and related payables as current items in all funds, because the account titles are sufficient to indicate the limited use of the assets. Assets restricted for debt service should include money set aside to pay current principal and interest on outstanding debt and money earmarked for deficiencies or contingencies and normally not used until the final retirement of the debt issue. Deposits include customer deposits and must be offset by account 245.10 or 248.10. Replacement accounts include renewal, replacement and emergency moneys that covenants or agreements require to be set aside. Include the uncollected portion of special assessments not due for 60 days (governmental funds) or l year (proprietary funds). Exclude interfund assessments which should be reported in account 165. In assessments accounted for in proprietary funds, make certain that all collections are recorded as restricted assets. The current portion and related interest and penalties should be recorded in account 123 (for governmental funds) or account 151 (for proprietary funds). Noncurrent amounts due from private individuals or organizations evidenced by a written promise to pay, including receivables on capital and financing leases. The current portion should be recorded in account 125. The uncollected amounts of long-term interfund loans; that is, loans which do not meet the criteria of temporary defined in the Loans. Also include the amount of unearned assessments owed by other funds of the same government. A joint venture is a legal entity or other organization that results from a contractual arrangement and that is owned, operated, or governed by two or more participants as a separate and specific activity subject to joint control, in which the participants retain (a) an on going financial interest or (b) an ongoing financial responsibility. The municipality’s investment should be accounted for using the equity method, if the investment is material. Those assets acquired by the municipal corporation for its own use through purchase, lease, self-construction, donation, or gift, with a life expectancy of more than one year. In addition to land, buildings and equipment, capital assets also include land and air rights, depletable resources such as minerals or timber, improvements made to rented property and the cost of partly-completed capital projects. In regulated utilities and certain other enterprise funds, plant facilities are primarily classified as to mode (facility type), e.g., source of supply, treatment plant, etc. Within these modes, the assets are segregated into categories of land, buildings, equipment, and other improvements. In the BARS, this scheme is reversed so that all the capital assets of a government can be classified the same way. In the optional detail accounts, the 5th digit can be used by utilities to identify plant-in-service modes. The same digit (and the 6th and 7th digits) may be used for other proprietary funds and for general government capital assets to segregate them by function or purpose. Include assets with no physical substance, such as a patent or license, with a useful life that exceeds one year. Used only in utilities, this account includes the difference between the cost to the current governmental owner and the cost incurred by the person or company that first devoted the property to utility service. Include any amount paid by a utility to the assignor of a franchise that exceeds the amount paid by the original grantee. The amount of original cost of intangible assets which has already been charged against revenue (or as a use allowance) since the date of acquisition. Include all securities and other assets acquired primarily for the purpose of obtaining income or profit. Investments should be reported at fair value (for exception, see the GASB Statement 31). Do not include investments restricted for specific purpose in proprietary funds (see account 150). Purchased interest should be debited to the revenue account 361.90 (G.L. account 292.10). 193.11 Unamortized Premiums on Investments. The unamortized portion of the excess of the amount paid for securities over their face value (excluding accrued interest). 193.12 Unamortized Discounts on Investments (Credit). The unamortized portion of the excess of the face value of securities over the amount paid for them (excluding accrued interest). Include nonmonetary property acquired by distraint, foreclosure or default, record at the amount of the tax lien. Use the purchase price for land acquired for a future plant site. The cumulative difference between the employer contribution to a pension plan and the annual pension cost. Include capital assets which have been declared surplus but are still owned by the government until they can be sold, traded, or otherwise disposed. Not regularly recurring noncapital costs of operation that benefits future periods. This account is used only in proprietary funds to account for any expenses not recognized as a cost of operations of the period in which incurred, but carried forward to be written off in one or more future periods. A consumption of net assets by the government that is applicable to a future reporting period. This account should include transactions related to accumulated decrease in fair value of hedging derivatives, deferred amount on refunding [the unamortized difference between the net carrying amount of the debt and its reacquisition price (when the reacquisition price exceeds the net carrying amount – loss on refunding)], grants paid in advance, pension. The categories should be detailed in the financial statements. 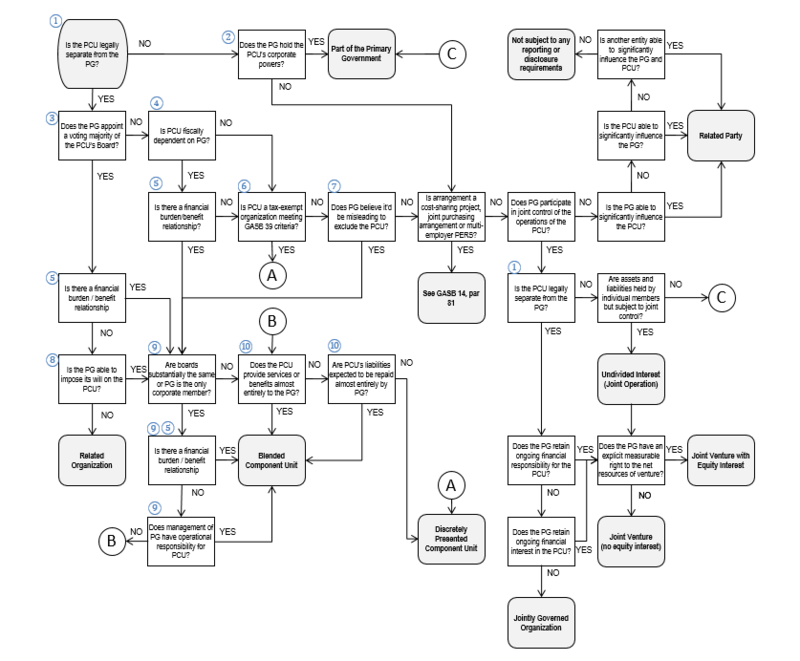 Include liabilities which are payable within next operating cycle (e.g., twelve months). The amount of operating warrants issued and outstanding. This account will be credited when warrants are issued and debited when warrants are redeemed or canceled. Do not use this account to record the issuance of revenue warrants (see accounts 235 and 263). Code cities using checks instead of warrants should not use this account. Amounts not yet vouchered but owed on open account to private persons or organizations for goods and services furnished to a government (but not including amounts due to other funds or to other governments). Liabilities for goods and services evidenced by vouchers which have been pre-audited and approved for payment but not yet paid. Amounts owed as compensation or payment for injury or damage. Include unpaid losses not covered by an insurance contract or bond and amounts owed as the result of court decisions, such a condemnation awards for private property taken for public use. Include the portion of all long-term debt which has become due. For explanation of the specific categories below, see accounts 251, 252, 253 and 263. Include interest due on long-term debt. For interest accrued between due dates, use account 231.10. Include pension benefits due and payable to retired employees in a public employee retirement system. Include amounts of progress payments due for construction of buildings and other improvements. If the amounts earned by contractors at the end of the fiscal period are material, they should be estimated and accrued if a progress billing is not available. Include amounts due on construction contracts, representing a percentage of the progress billings. These amounts are not paid until final inspection, the lapse of a specified time period, or both. 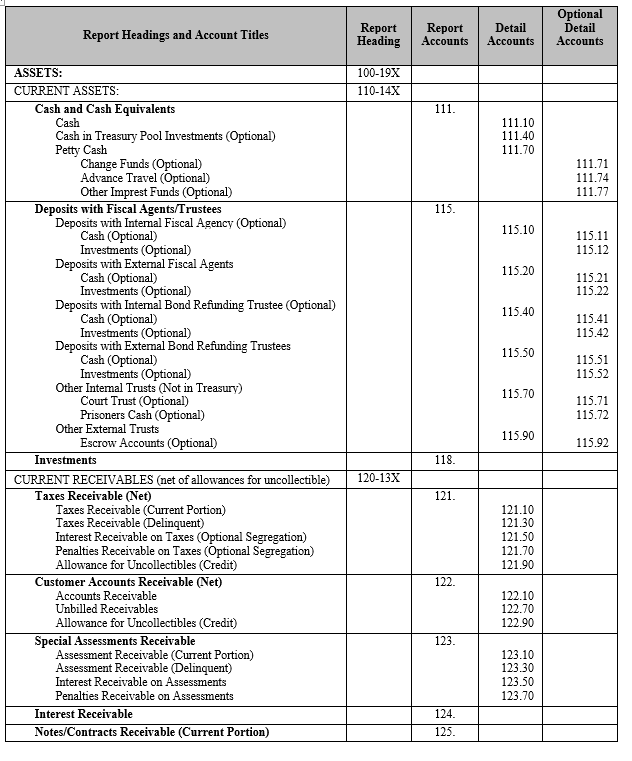 (RCW 50.24.130 and Chapter 60.28 RCW) Include amounts deposited to escrow accounts (see account 115.92) as well as amounts held in the municipal treasury. Use this account to accumulate interest on retainage when requested by the contractor (RCW 60.28.010). A payable for goods issued, work performed or services rendered from or by another fund of the same government. Also use this account for subsidies and other transfers between funds that have been authorized but not yet paid. The recipient fund should have an equal amount recorded under account 131. Include payables between a primary government and blended component units. Include amounts due to discretely presented component units from the primary government. 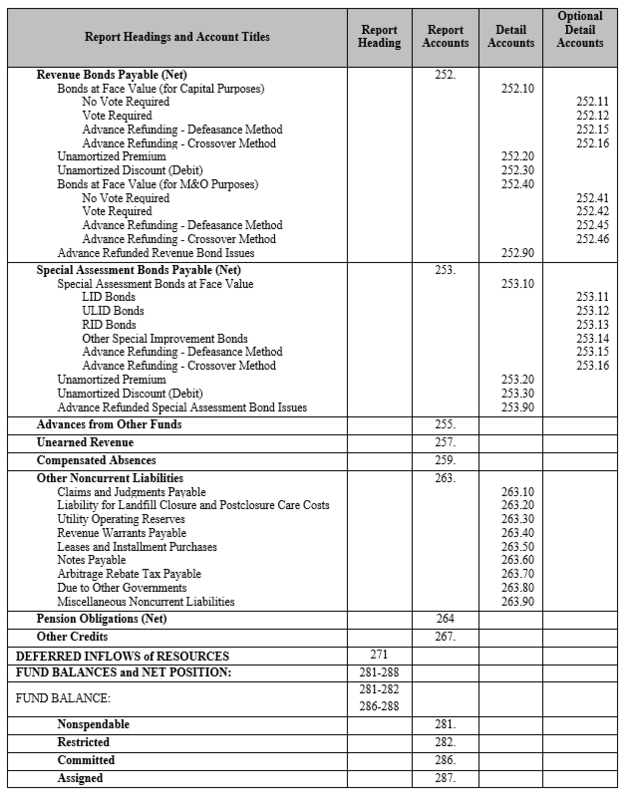 The payables to blended component units are presented in 225. Some transactions and balances previously recorded in 225 and 229 may need to be reclassified for the presentation in the reporting entity (primary government) financial statements. The recipient component unit(s) should have an equal amount recorded in 136. The amounts of interfund loans not yet repaid. See Loans for further definition. Amounts due to the primary government from discretely presented component unit(s). The payables of blended component unit(s) are presented in 225. An equal amount should be recorded in 135. For details, see GAAP Reporting Requirements. Current amounts due to other governments. These amounts may represent intergovernmental grants or entitlements; loans; and charges for services rendered by another government. Payables for services that are not governmental in nature, such as insurance, utilities, rents, repairs, and supplies, should not be included here. Use account 213 or 231. These are amounts of expenses/expenditures that have been incurred by the end of the fiscal period but will become payable at a future date. Do not include accruals for claims and judgments, annuities, or construction contracts in this account. See accounts 215, 221, and 223. Interest earned by creditors, including bondholders, since the last payment or coupon date. The interest earnings accrued at the end of the 5th year and due and payable to the U.S. Treasury. See Arbitrage Rebates. Wages earned by employees since the last payroll. Include the current portion of the unpaid liability for employee absences (vacation and other accruable leave). Use account 259 to record the long-term liability for compensated absences. Estimated benefits associated with accrued wages, account 231.30. Include payroll taxes. Estimated taxes that are not directly associated with other specific liability accounts, such as B&O taxes or excise taxes. Do not include payroll taxes (see account 231.50). The unmatured portion of all long-term debt which will become due within one year (proprietary funds) but which is not yet due and which will require current assets to redeem (see account 240 for the current portion of long-term debt payable from restricted assets). Do not include any portion of refunded debt. Special rules apply to certain types of intermediate-length financing (see accounts 239.60 and 263.60). For explanations of the other specific types of debt, see accounts 251, 252, 253 and 263. A liability account for the net monetary assets held by a governmental unit in a trustee capacity or as a custodian for individuals, private organizations, other governmental units, or other funds. Include such items as sales and leasehold taxes collected for the state, prisoners’ cash, court trusts, contractors’ bonds (bid deposits), and suspense accounts (receipts pending classification and grants or taxes collected by the reporting government as an intermediary). County treasurers should use this account to offset the assets held in custodial funds for special purpose districts. Do not use this account for any fiduciary funds. Include liability for deposits made by customers as a prerequisite to receiving services. In proprietary funds use account 245.10 instead. These are short-term financing instruments (Chapter 39.50 RCW). Include the entire principal of those notes and warrants unless the instruments were authorized in anticipation of a bond issue (see account 263.60). This debt should be treated as fund debt, even in governmental funds. These accounts are used only in proprietary funds. Include the amounts of current liabilities and customer deposits for which the assets have been set aside as restricted in accounts 151-155. Do not include matured bonds or progress payments due to contractors; instead, the related assets should be treated as current and nonrestricted. 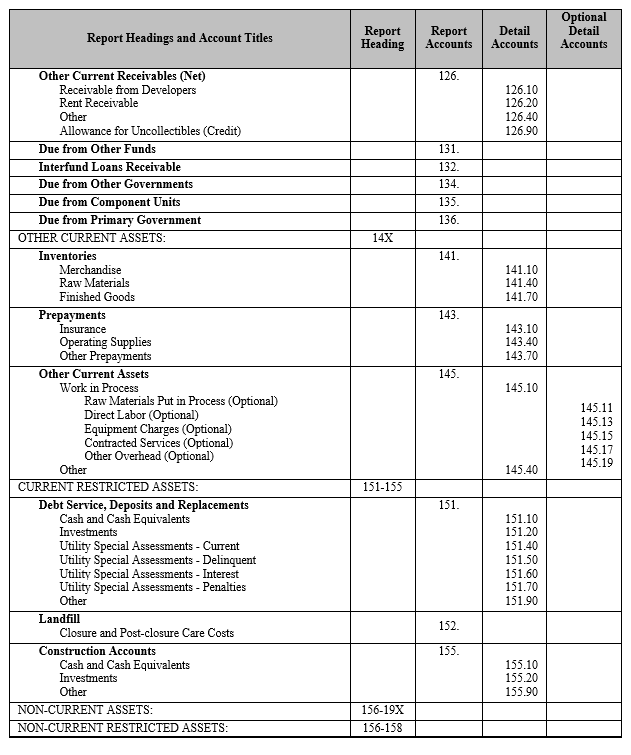 For explanation of the specific types of debt, see accounts 239.60, 251, 252, 253, and 263. These accounts are used only in proprietary funds. Include the amounts of current liabilities and customer deposits for which the assets have been set aside as restricted in accounts 156-158. Do not include matured bonds or progress payments due to contractors; instead, the related assets should be treated as current and nonrestricted. For explanation of the specific types of debt, see accounts 239.60, 251, 252, 253 and 263. The face value of all noncurrent bonds used for capital acquisitions and/or improvements for which the government has pledged its full faith and credit. The unamortized portion of the excess of G.O. bond proceeds over their face value (excluding accrued interest and issuance cost; see G.L. account 195.30 for issuance cost). The unamortized portion of the excess of the face value of G.O. bonds over the amount received from their sale (excluding accrued interest and issuance cost; see G.L. account 195.30 for issuance cost). The face value of all noncurrent bonds used for maintenance and operations (M and O) for which the government has pledged its full faith and credit. The amount of any refunded bonds included in this account should not be reported in the financial statements. For further discussion, see Refunding Debt. The face value of all revenue bonds used for capital acquisitions and improvements not due within one year. The unamortized portion of the excess of revenue bond proceeds over their face value (excluding accrued interest and issuance cost; see G.L. account 195.30 for issuance cost). The unamortized portion of the excess of the face value of revenue bonds over the amount received from their sale (excluding accrued interest and issuance cost; see G.L. account 195.30 for issuance cost). The face value of all revenue bonds used for maintenance and operations (M and O) and not due within one year. The face value of bonds issued for public improvements to be repaid (wholly or in part) from assessments levied against benefited properties. Bonds expected to be financed from special assessments should be recorded here even if the full faith and credit of the municipality is pledged. The unamortized portion of the excess of special assessment bond proceeds over their face value (excluding accrued interest and issuance cost; see G.L. account 195.30 for issuance cost). The unamortized portion of the excess of the face value of special assessment bonds over the amount received from their sale (excluding accrued interest and issuance cost; see G.L. account 195.30 for issuance cost). The amounts of long-term interfund loans not yet repaid. Also include the amount of deferred assessments owed by a fund to other funds of the same government. Amounts recognized as receivables, including amounts due from other governments, which cannot be classified as revenues. Under the modified accrual basis of accounting, such amounts are measurable but not available. 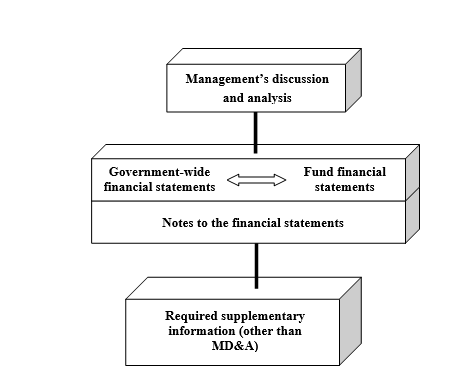 See the discussion of revenue accrual in Accrual of Revenues in Governmental Funds. Also include amounts collected that will not become revenues during the next fiscal year. For example, rental payment received for the last year of a lease running for several more years. This account is used to record the noncurrent liability for employee absences. Such compensation should be recorded for all accrued vacation and for that portion of other leave, such as sick leave, for which the employee would be paid on termination. Use account 231.30 to record the current portion of these kinds of leave. The noncurrent portion of amounts owed as compensation or payment for injury or damages. The estimated and accrued costs related to the closure of landfills in accordance with the Department of Ecology standards. See Solid Waste Utilities: Closure and Postclosure Cost Accounting. Amounts expensed by a proprietary fund and irrevocably set aside for pension, accident and death benefits, employee health and welfare, etc., but not included in restricted assets. Utilities may also use this account during the fiscal year for amounts expensed to meet the probable liability, not covered by insurance, for losses through accidents, fire, flood, or other hazards, and for losses from injury and damage claims. For reporting purposes, amounts that remain in this account at year-end which represent net self-insurance reserves must be credited against the related risk expense accounts, so that operating statements include as expenses only the actual judgments awarded and/or losses sustained. The noncurrent portion of warrants issued with a set term for redemption (also known as time warrants). In most cases, they are backed by the earnings of a specific fund rather than the full faith and credit of the issuing government. Any premium or discount should be accounted for separately from the face value, using subaccounts of this account. Include the noncurrent portion of capital leases and lease/purchases. An explanation of capital leases and the required accounting for them is in Leases. Include the noncurrent portion of promissory notes issued by a local government. Include the entire unpaid principal of intermediate length financing instruments, such as anticipation notes and warrants (Chapter 39.50 RCW) authorized in anticipation of a bond issue, even though it may come due within 12 months. Other anticipation notes or warrants should be classified as current debt even though payment may be delayed beyond 12 months (see account 239.60). The interest earnings accrued in years 1-4 that will be due to the U.S. Treasury at the end of the 5th year. Refer to discussion in Arbitrage Rebates. Include the noncurrent portion of intergovernmental loans. The cumulative difference between annual pension cost and the employer contribution to the pension plan. This account is used in proprietary funds to account for gains that will be amortized over succeeding fiscal periods. Use the separate accounts provided for items such as unamortized debt premium (accounts 251.20, 252.20 and 253.20), customer advances to be refunded (account 245) and amounts held pending disposition (account 237). An acquisition of net assets by the government that is applicable to future reporting period. This account should include transactions related to accumulated increase in fair value of hedging derivatives, deferred service concession arrangement receipts, deferred property tax, advance payments of property tax, special assessments, deferred amount on refunding [the unamortized difference between the net carrying amount of the debt and its reacquisition price (when the net carrying amount exceeds the reacquisition price – gain on refunding)], grants received in advance, pension. The categories should be detailed in the financial statements. These accounts are used to indicate the difference between the assets and liabilities reported in governmental funds. Indicates the portion of fund balance is inherently nonspendable in current period (e.g., prepaid items, inventories, long-term portion of loans receivable, nonfinancial resources held for resale, etc.). Indicates the portion of fund balance that is subject to externally enforceable legal restrictions (imposed by creditors, grantors, donors, other governments, etc.). The restrictions may be also imposed by law through constitutional provisions or enabling legislation. Indicates the portion of fund balance that represents resources whose use is constrained by limitations that the government imposes upon itself at the highest level of decision making (normally the governing body) and that remain binding unless removed in the same manner. Indicates the portion of fund balance that reflects a government’s intended use of resources. Indicates net resources in excess of nonspendable, restricted, committed, and assigned fund balance. The difference between the assets and liabilities of pension plans reported by the employer or sponsor government in a pension (and other employee benefit) trust fund. The difference between the assets and liabilities of external investment pools reported by the sponsor government in an investment trust fund. The difference between the assets and liabilities of fiduciary funds, other than pension (and other employee benefit) trust funds or investment trust funds. Capital assets net of accumulated depreciation, reduced by the outstanding balances of borrowings attributable to the acquisition, construction, or improvement of those assets. Deferred outflows and inflows of resources attributable to the acquisition, construction, or improvement of those assets or related debt also should be included. If there are significant unspent related debt proceeds or deferred inflows of resources at the end of the reporting period, the portion of the debt or deferred inflows of resources attributable to the unspent amount should not be included. The component of net position that consists of restricted assets reduced by liabilities and deferred inflows of resources related to those assets. 284.21 Restricted for ________, Permanent Restriction. Restricted component of net position that may never be spent (e.g., endowments). 284.22 Restricted for ________, Temporary Restriction. Restricted component of net position that may be spent at some time, either in the present or future. The net amount of the assets, deferred outflows of resources, liabilities, and deferred inflows of resources that are not included in the determination of net investment in capital assets or the restricted component of net position. An account containing totals of one or more types of transactions the detail of which appears in a subsidiary ledger or its equivalent. The balance of the control account equals the sum of the balances of the detail accounts. Budgetary accounts record annual estimates that are formally integrated into an accounting system, whether those estimates are appropriations or merely management estimates. Budgetary accounts should be contrasted with actual accounts, which record true revenues, expenditures or expenses, assets, liabilities and fund balances. Budgetary accounts should also be contrasted with project accounts, which record both estimates and actual amounts, but not on an annual basis. Nominal accounts are those accounts that are closed to fund balance at the end of each fiscal period. 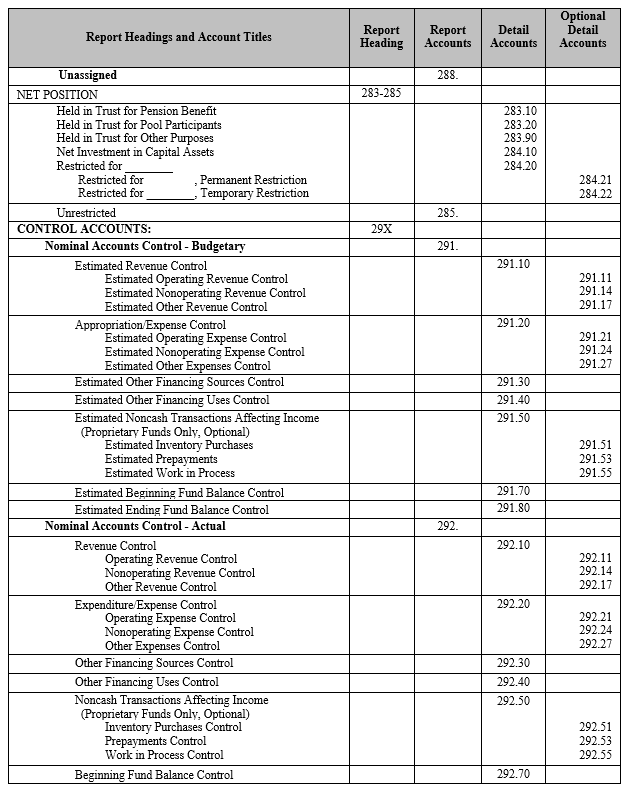 For simplicity of reporting, the BARS includes in the nominal control account only those accounts which appear on the operating statement (revenues, expenditures, etc.). This account records the total revenues it is estimated will be earned by a specific fund during a government’s own fiscal year. This account records the estimated or legally authorized total expenditures or expenses to be incurred during a government’s own fiscal year. This account records the total proceeds of borrowings, transfers (and a few other items not regarded as revenues) it is estimated will be received during a government’s own fiscal year. This account records the estimated or legally authorized amount of transfers to be paid during a government’s fiscal year. This account may be used in proprietary funds to establish budgetary control over specific line items affecting outcome from operations. This account records the amount by which fund assets are expected to exceed fund liabilities at the beginning of the fiscal year. 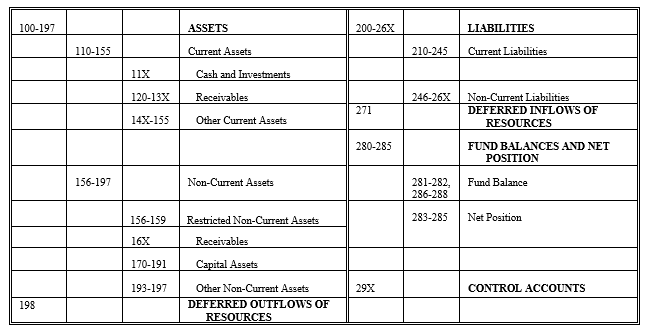 This account records the excess of fund assets over liabilities estimated to exist at the end of the fiscal year. Actual accounts record true revenues earned and expenditures/expenses incurred during a fiscal period. This account records the actual revenues earned by a specific fund during a government’s own fiscal period. Do not include proceeds from long-term debt and transfers-in which are classified not as revenues but as other financing sources. See account 292.3X. This account is used to record actual expenditures/expenses incurred during a government’s own fiscal year. Do not include transfers-out which are classified not as expenditures/expenses but as other financing uses. See account 292.4X. This account records the actual proceeds of borrowings, transfers (and other items not regarded as revenues) which are received during a government’s own fiscal year. This account records the actual amount of transfers paid during a government’s own fiscal year. This account may be used to segregate expenses for specific transactions affecting income from operations. This account records the amount by which fund assets exceed fund liabilities at the beginning of the fiscal year. Entry to this account is normally made once a year as soon as the entity has closed its books for the previous year, by crediting this account and debiting account 292.8X for the amount of actual beginning fund balance. This account records the actual excess of fund assets over liabilities at any specific date. The first entry to this account should be made as soon as the entity has closed its books for the previous year, by debiting this account for the actual beginning fund balance (see account 292.7X for the offsetting entry). Thereafter, entries must be made periodically (no less often than monthly) to update fund balance by charging this account for the excess of fund resources over fund uses since the last time fund balance was updated. Encumbrances are commitments related to unperformed (executory) contracts for goods or services. These are recorded before the actual expenditure is incurred to prevent expenditures from exceeding appropriations. The total amount of ongoing grants/projects authorized through the current fiscal year. This amount should include all grant amendments to date. The total amount of appropriations for ongoing grants/projects authorized through the current fiscal year. This amount should include all grant amendments to date. Resources earned from inception of the project to date for ongoing projects that extend over a period that does not coincide with or fall within the current fiscal year. Expenditures incurred from inception of the project to date for ongoing projects that extend over a period that does not coincide with or fall within the current fiscal year. The excess of 297.20, Life-To-Date Expenditures/Uses over 297.10, Life-to-Date Resources Earned. This account represents the current grant receivable and serves to prevent these accounts from impacting fund balance. The difference between (1) asset and deferred outflows of resources, and (2) liabilities and deferred inflows of resources. The local government may use this account for the government-wide financial statements.